Roof contractors all over the world get many clients who make emergency calls for availing roof maintenance services. It is not unusual to see homeowners frantically looking for ways to fix their roofs at the last minute. You might wonder, why on earth do these people wait for a calamity to occur before hiring professional roof maintenance services? Here’s the thing: Roof maintenance is most often ignored by homeowners as they don’t walk over their roofs on a daily basis. As a result, any form of disorderliness of the roof is often not known in time. With the objective to avoid any sort of roof disasters, it is imperative for homeowners to remain vigilant and deliberately check roofs periodically. 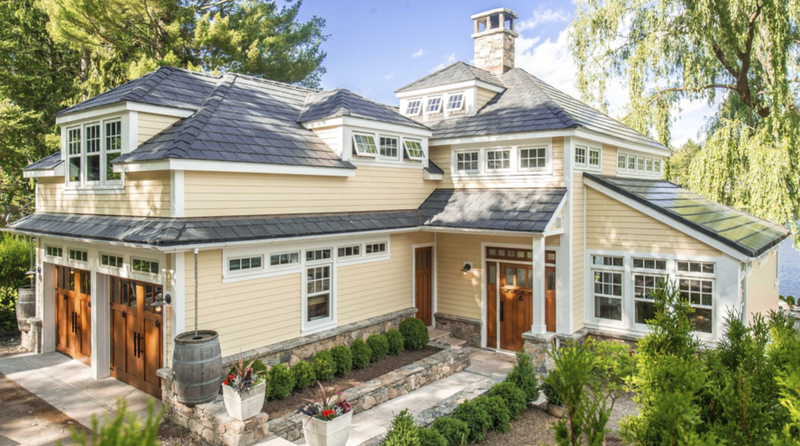 This article is written for homeowners who take their home roofs seriously and are looking for cost-effective tips for its maintenance. Read further to know more. While inspecting the roofs, make sure you keep an eye out on any developments taking place up there. For instance, check if there are any fungi developing and eventually making its way into the home. Although fungus and algae grow outside the home, it is pertinent to treat them with zinc. But, mold should be removed only by professionals. Another great way to keep your roof secured is by hiring a professional tree cutter for trimming branches that unnecessarily hang over the roof. If you see any trees that are hanging near your home, ensure they are properly trimmed in order to avoid further damage to the roof. Tip #3 Fix The Damage Asap! It is strongly recommended to undertake roof repairs immediately without causing further delays as the more you delay, the more extensive the damage becomes, let alone becoming expensive. Therefore, it is a good idea to get a professional and accredited NY residential roof contractor on board who can fix the damage quickly and cohesively. Gutters play a pivotal role in diverting water away from the roof, and, therefore, you want to be sure that the path is absolutely clear. Also, unlike a few others, don’t use a hose to flush the waste out, as it can put debris into the downspouts and clog them. Keep the gutters clean in all seasons. Using a protective finish can do wonders to help you increase the longevity and durability of the roofs. A polyvinylidene fluoride finish is usually recommended by experts as it helps to prevent rust, corrosion and mold/fungus problems. Moreover, it increases the resilience of metal roofs. Overall, sealants are for protecting your roofs, and they are not expensive. Regular maintenance of roofs is a profoundly significant aspect of home improvement, and should be ignored at your own peril. The mentioned tips will surely aid you in keeping the roofs strong and robust. There are many homeowners who perform roof maintenance by themselves, without any professional help; however, it is advisable to hire professional services of roof contractors to keep all sorts of roof disasters at bay.